From Russia With Love introduces us to James Bond’s home routine. This is where we first learn about his very particular breakfast habits when at home between assignments abroad. He has his strong coffee, his boiled egg, and toast. On the toast is a “large pat of deep yellow Jersey butter” and one of three other toppings which he keeps at hand. One of which is Tiptree ‘Little Scarlet’ Strawberry Jam. Little Scarlet is a very special strawberry, an anachronism (lovely word!) in today’s world. Today, strawberries are quite unlike the tiny, intensely flavoured fruit of two hundred years ago, whereas Little Scarlet strawberry never changed. Grown only at Tiptree, the fruit is difficult to grow, an unpredictable cropper that dislikes extremes of weather and won’t keep once picked. 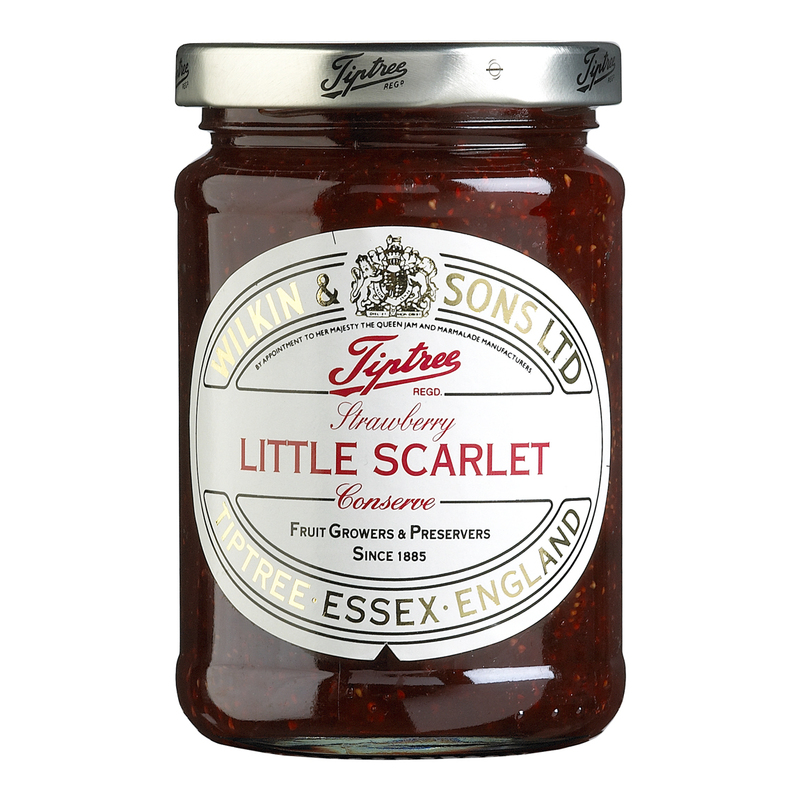 The upside is that Tiptree’s Little Scarlet conserve (James Bond’s preserve of choice) is made only from our own fresh fruit, within hours of it being picked. Why do we persist in growing much of our own fruit, when there are usually cheaper imported varieties available? We think that the British climate (generally speaking of course!) means slower ripening fruit which imparts a better flavour. We also reckon that we prefer to do things ourselves anyway, it means we can grow the varieties we want, look after them as we choose and pick them when we think they’re at the peak of their perfection. They go on to relate that the Little Scarlet jam is generally the most expensive jam they make. This fits in well with Ian Fleming and his crafting of James Bond as a man who knows exactly what he likes, and will settle for nothing less. The other spreads are similarly fine products as well, as we will discuss soon.